We just got back from a small family reunion here and we really enjoyed our time together at the villa. The property is a very tranquil place, with great natural beauty. Inside the house everything is very clean and new. The kitchen is well equipped, the bedrooms are lovingly furnished, we highly recommend this accommodation. This is a unique place, very quiet and conveniently located near Cortona (where we attended a wedding). The owner Giacomo was very helpful and extremely nice throughout our vacation, the house was clean and we enjoyed the pool a lot (especially the kids). Very recommended for a family holiday and for those who are looking for some quiet time. Villa Cassiano was the perfect house for our holiday, it was our first time in Tuscany and the location of the house allows a lot of excursions without having to drive far: Florence, Sienna, Arezzo and also Rome (by train) are very easy destinations. Giacomo (the owner) was attentive and easy to deal with. Thank you, we would recommend this holiday home to anyone! We spent a relaxing week in June at Villa Cassiano, the villa is secluded and immersed in the peaceful sound of nature. The interiors are new, with good sized bedrooms and modern bathrooms. The kitchen is well eqipped and the garden is extremely well tended. 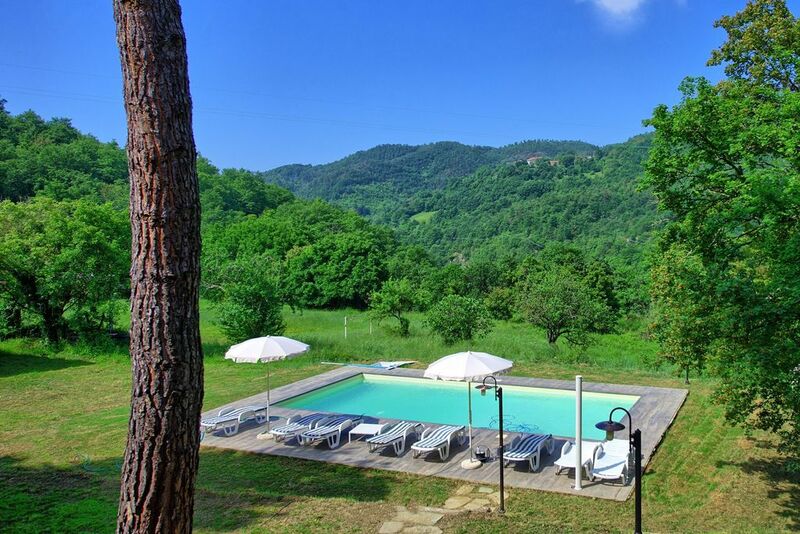 It is possible to rent an independent villa with private pool in Tuscany at a reasonable price! We felt very welcomed and all our expectations were absolutely met. We would definitely go back and stay there once more! Wunderschöne Lage und ein absolut gepflegtes Haus.